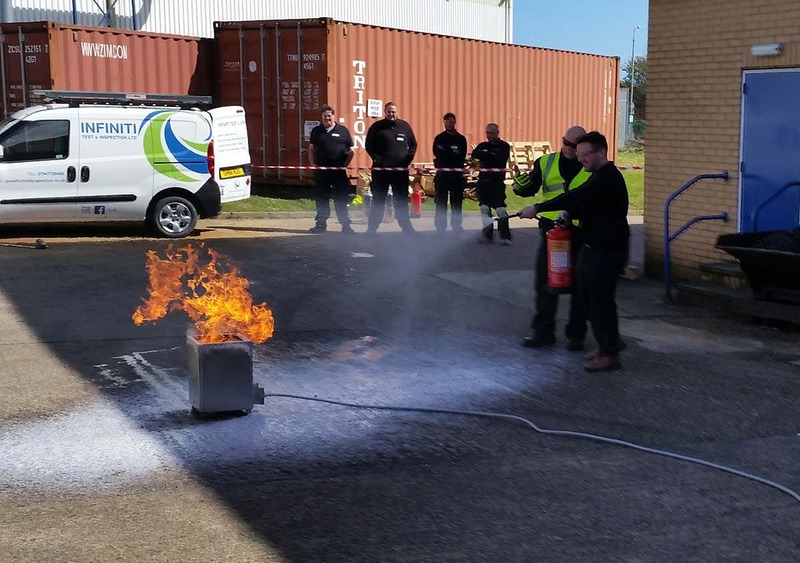 Would your employees know how to react in the event of a fire? Would they be able to confidently and safely extinguish a fire at your premises using a portable fire extinguisher? Did you know that most employers have a duty to provide adequate fire warden and / or fire extinguisher training to your employees? 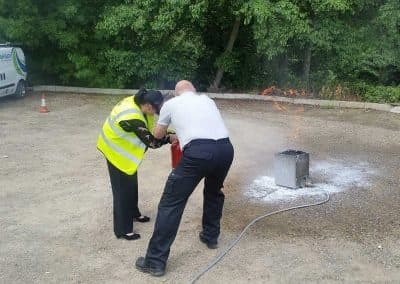 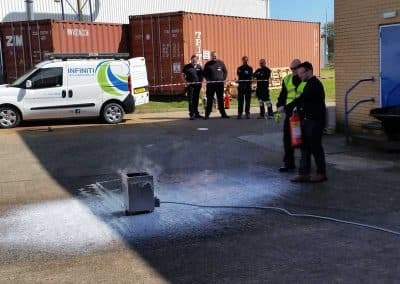 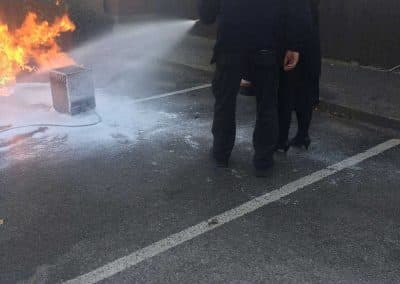 Infiniti Test & Inspection Fire Extinguisher & Fire Warden training will provide your employees with the knowledge and the experience to help protect you, your customers and your business from the risk of fire. 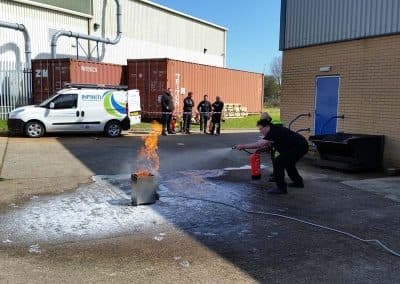 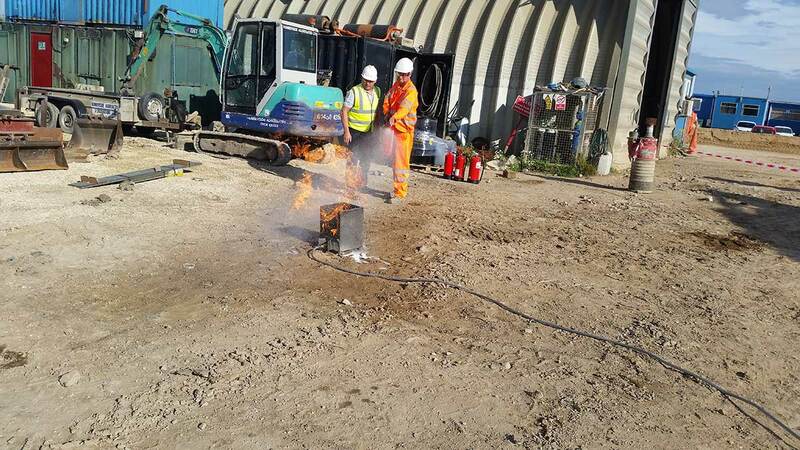 You will have the opportunity to carry out realistic fire training in a controlled environment. 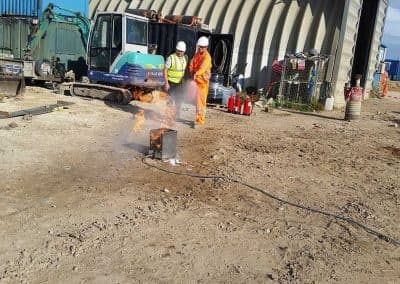 You will use a realistic live test fire simulator. 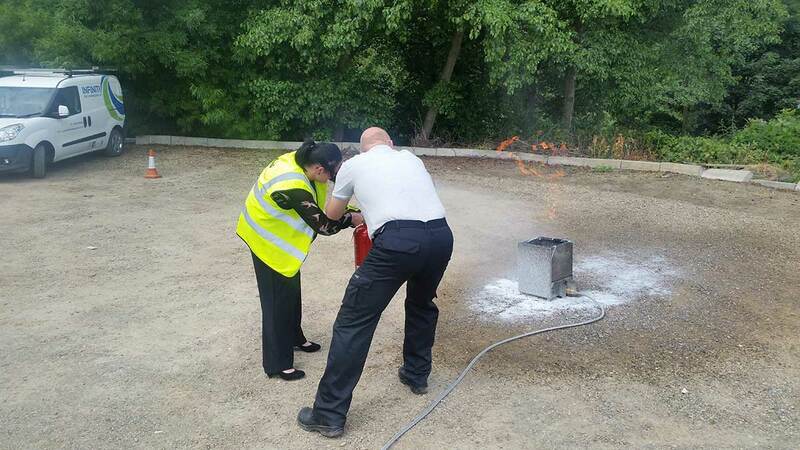 You can be provided with both fire extinguisher & fire warden training. 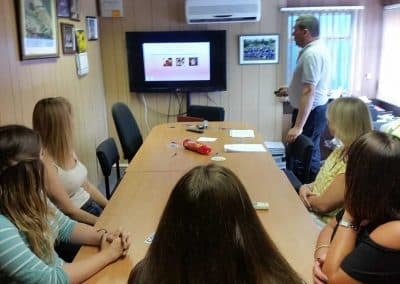 Course duration is approximately 2-3 hours and all courses are conducted at the customer’s premises. 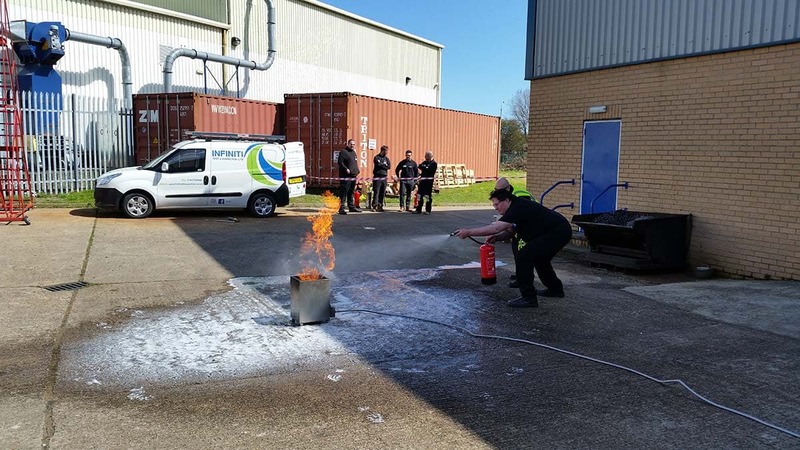 Both courses include both theory and practical elements. 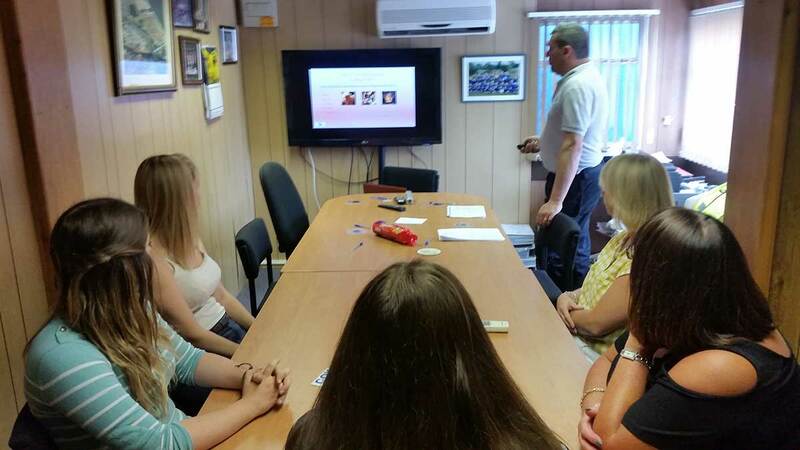 On successful completion of the course the candidate will receive a certificate of competence valid for 2 years. 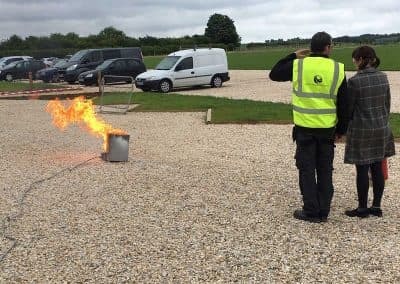 The practical fire training was a great experience and beneficial to my role. 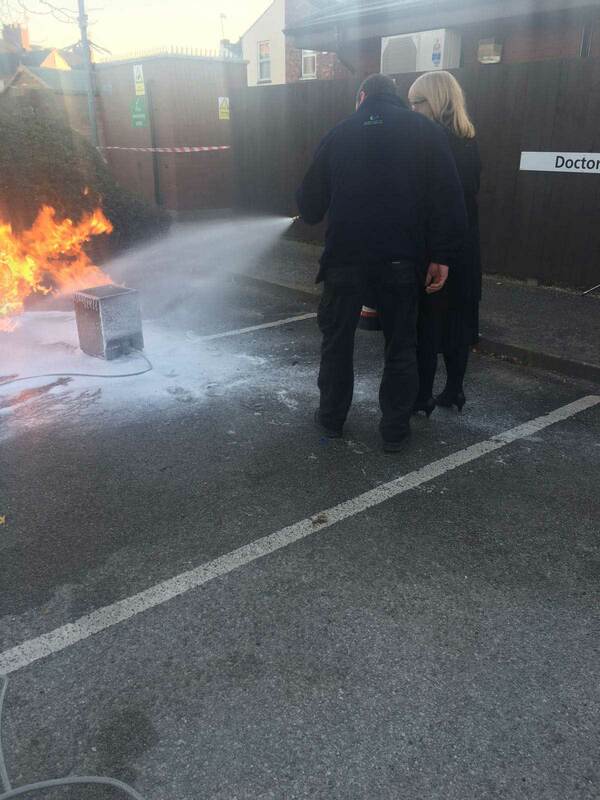 It was very engaging and informative and I now feel more confident in fire extinguisher use. 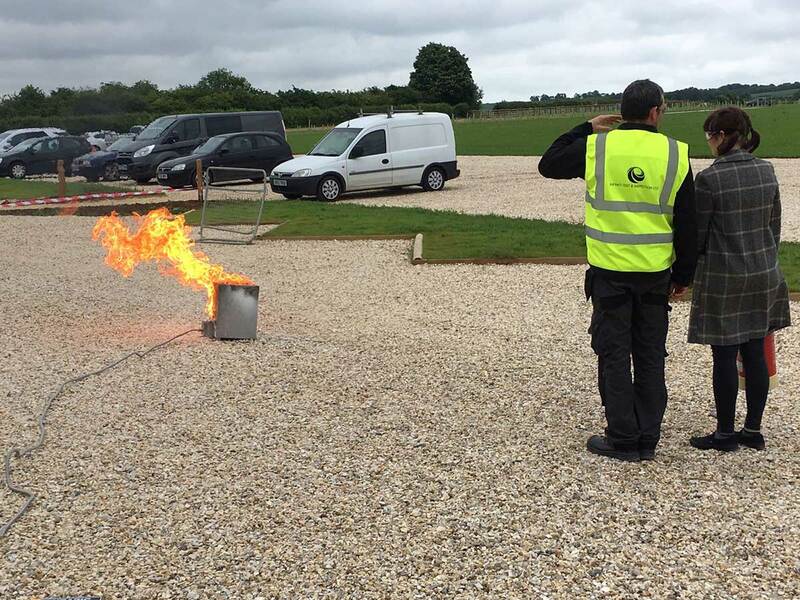 We can undertake a no obligation site survey of your premises to ensure that your business has the correct fire protection in place.